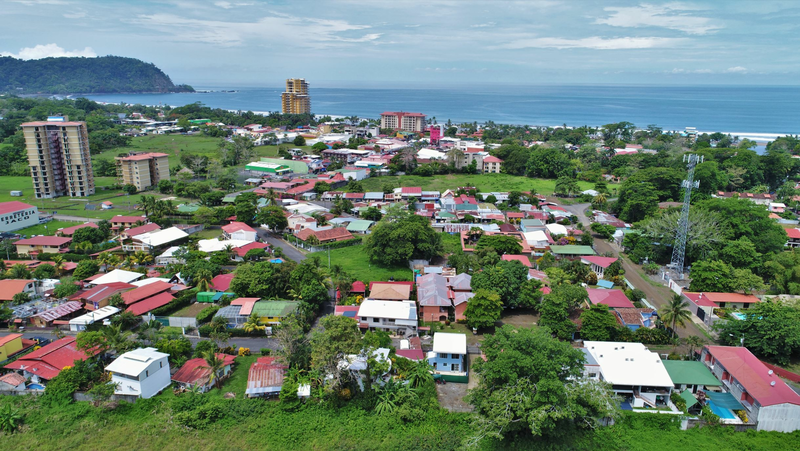 Pacific Sun Estates is located in the town of Herradura in Costa Rica. Located between Jaco and Los Suenos Resort and Marina there are plenty of amenities to find nearby. Pacific Sun condominium development consist of different phases, phase one consists of 28 one level condo homes and these are located in eight 2 level buildings. Phase two consists of 28 units with 2 bedroom or 3 bedroom condo units in four 4 level low rise buildings. The condominiums are perfect for families and have a spacious living room, kitchen and dining area. Each condo has a large private patio or terrace, the top floor units have an extra roof top terrace. The units have sliding glass doors, granite counter tops in kitchen and bathroom, tropical hardwood cabinets and vaulted ceilings. The condominiums are luxury defined. The units have mountain views, garden or pool views. Pacific Sun Estates is a quiet and calm community where you can relax. At the community center area of Pacific Sun you find a large swimming pool with waterfall feature, rancho and barbeque. This is a gated community with security, parking, underground installations for electricity, property management office and well maintained gardens. At Pacific Sun pets are allowed. The condominiums at Pacific Sun estates are great as a permanent home or as a vacation home. Pacific Sun is situated near a small mall where you find a large supermarket, stores and a pharmacy. The beach of Herradura and the beach of Jaco are a short drive away. Jaco is a beach town that has tons to offer. There are plenty of activities to do in the area such as zip lining tours, horseback riding, sport fishing, golfing and surfing.